"Steve, thanks for the assist. Thanks for your action on this. "I think we need it by each keypunch when we have visitors afoot and will print up a bunch." [ Punching the name cards gives the visitor a very tactile experience of "the old days".
" LET'S BUILD A SMARTER PLANET. " - - but did that phase Stan? 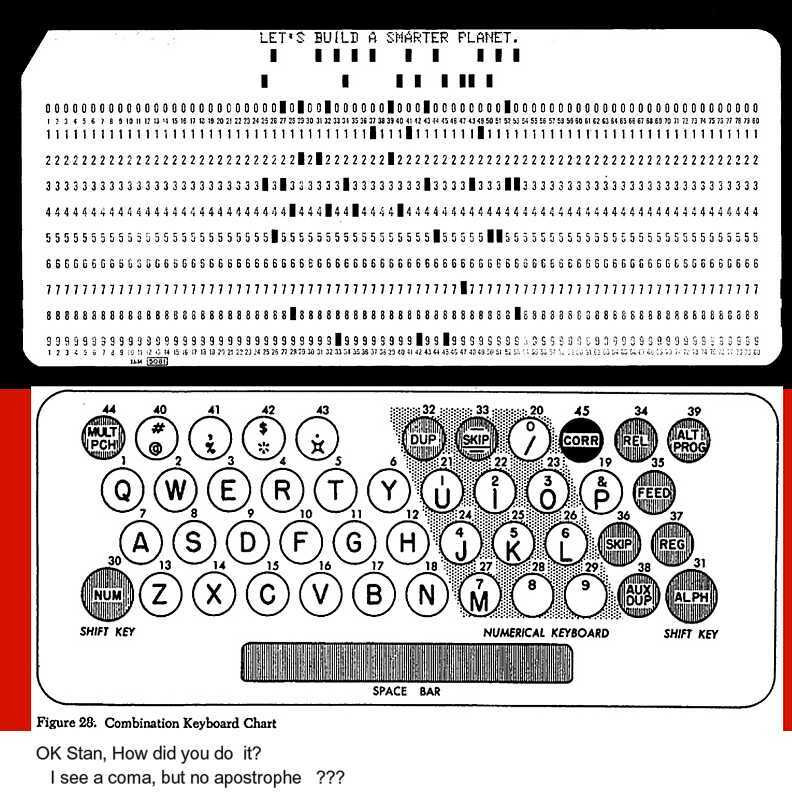 "The Fortran character set has apostrophe where the commercial character set has @ (3-8 punch). So, it's possible either Stan has a "Scientific" 026 somewhere or he swapped in a character plate from one. Back in the "good old days", IBM made the "Verifier" punch. It was part of the 029 punch series, but did NOT punch data onto cards. Instead, it compared what was being keyed in to what was on the card currently going through. If it came up with a discrepancy, it punched a notch on the 12-edge. If the whole card matched, then it put a notch in the column 80 END of the card. A deck of cards consistently notched on the end was a reassurance that the original punching and the verification matched, and therefore was probably pretty accurate. Of course, that doubled the price and the amount of work for having a service bureau punch your data. 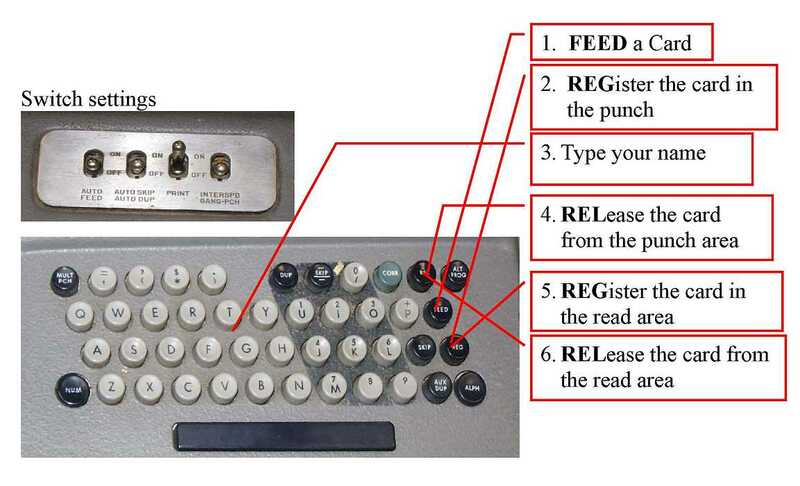 If done right, the punching and verifying would be done by two different keypunch operators, to reduce the possibility of the same mistake repeated being verified, particularly with 0 and O, etc. Eventually, some of the service bureaus realized that instead of punching, and then verifying, that it was a lot less work to verify and then punch! So, they would verify entire boxes of blank cards, and then use those for the raw supplies for punching. > my zero as most people find it to be confusing. How many people still use the Palm "Grafitti" system?